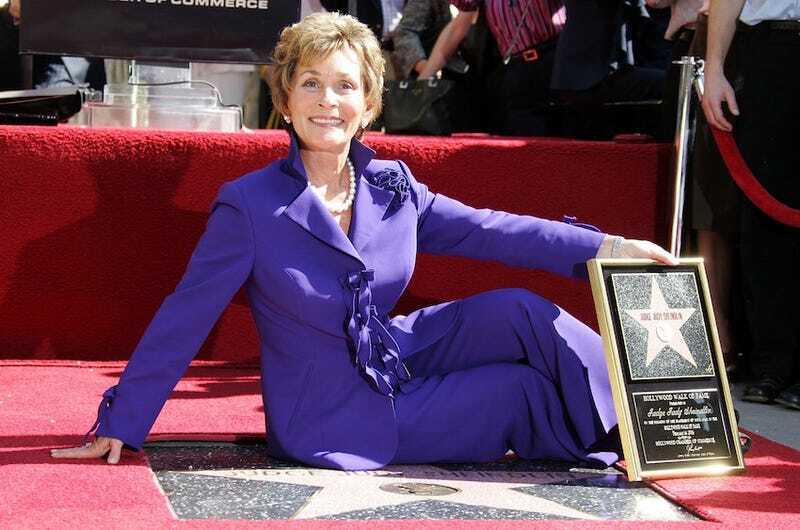 In a report by Variety that canvassed Hollywood and all the people that make the things we like to watch, it was reported that Judge Judy Sheinlin is the highest paid person on television, just as it should be. Their survey included “actors, executives, attorneys, agents, managers, and other representatives in an effort to offer a snapshot of the earnings power of talent at all levels in primetime, late-night, daytime, and news,” and reveals not a lot of surprises while still being interesting if only for the sordid pleasure one takes in learning just how filthy rich people can be. The report is broken out into three very broad categories: drama; comedy; and reality/host/news. Judge Judy rakes in a cool $47 million dollars a year, nearly double Matt Lauer’s estimated $20-25 million salary, a fact that tickles me so I don’t know what to do with myself. Unsurprisingly, the stars of your Aunt Irene’s favorite sitcom The Big Bang Theory make an estimated $1 million per episode, a fact that makes my face hurt if I think about it for too long. Topping the drama category are Alexis Bledel and Lauren Graham, who made a reported $750,000 per episode for the hotly-anticipated Gilmore Girls reboot coming to Netflix. What about the stars of shows you actually watch? The stars of fan favorites like Transparent, Outlander, Jane the Virgin, and black-ish are all at the bottom of the list. Prestige is great for your career and serves as the prompt at cocktail parties and social events where you know no one, but what it doesn’t do is pay the bills. Sure, $50,000 an episode is definitely a fair amount of money when you consider how long a season of network television is. But placing such a high value on mediocre art creates a strange imbalance of power. It’s the reason shows like Kevin Can Wait make it while the Friday Night Lights and the Freaks and Geeks of the world languish in ratings hell before quietly being cancelled and disappearing forever. Watch the shows you want to watch, I’m certainly not here to judge. I’ll leave that to Judy Sheinlin, the highest-paid and hardest-working woman on television.